The Plainville Community Food Pantry is a nonprofit outreach agency that provides food, energy assistance, clothing, crisis intervention and referral services to individuals in need. In addition to its regular programs, the pantry offers the following programs for the registered children of its adult clients: Secret Santa, Birthday Basket, Easter Basket and the Back-to-School Program. the quality of life of individuals and families. Learn more about the Plainville, Connecticut community. headquarters in the Plainville Congregational Church under the supervision of the Plainville Conference of Churches and hired Sharon Collins as its first director. In 1975, PCFP Board member, Joe Silverio, started picking up day-old baked goods in his station wagon from local grocery stores on his lunch hour to provide to pantry clients. In 1979, Kathy Lickwar became the second director of the pantry and the number of families served grew from the original ten to 75. At that time, the pantry began providing holiday baskets at Easter in addition to the holiday giving already in place for Thanksgiving and Christmas. By 1983, the bread pick-up program had grown considerably. More and larger grocery stores began donating and Joe Silverio’s “lunch hour” job needed helpers. Volunteers were recruited. These “Bread Guys” were sought after by many of the large groceries, and in some, were the only volunteers allowed to pick up day-old baked goods. The need for more space was evident and the pantry moved to the basement of Linden Street School. 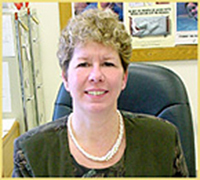 In 1984, Suzanne Gengras replaced Kathy Lickwar as PCFP director in 1984. Support from local businesses, churches, community organizations and individuals ontinued to grow. PCFP had enough baked goods and so began distributing extras to other agencies which needed them. With this the Bread Distribution program was born. build collaborations with other human service agencies in the area. members were added-an office manager and a warehouse coordinator. These staff members, along with the Executive Director, its dedicated Board and team of volunteers continue to provide the programs the pantry’s clients depend on. In 2004 the pantry received a $50,000 grant from CHEFA to purchase a van for this program. This grant also provided for five years of maintenance, insurance and gas. Also in 2004, Loureiro Engineering, a Plainville, Connecticut-based engineering and environmental services company, built a two-car garage and storage area to house our van and provide additional storage space. In 2005, in recognition of their generous support of PCFP, the “Bread Guys” won the Ellen Varnum Volunteer of the Year Award from RSVP in Bristol, Connecticut. That year the pantry also received the United Way Shining Star Award. Today the PCFP is a results-oriented, fiscally-responsible community service organization dedicated to meeting and maintaining the services necessary to provide for its clients’ basic human needs and improve the quality of lives. PCFP also makes an impact on the greater community through its award-winning Bread Distribution Program. This volunteer-run program provides bread and other baked goods to more than thirty human service agencies throughout Greater Hartford. Monday: 1 - 6 p.m.
Tuesday - Friday: 9a.m.-12p.m., 1p.m.-3p.m.